We all know about these commonly used inventions, but they had a dark side. Anton Köllisch developed 3,4-methylenedioxymethamphetamine as a by-product of research for a drug combating abnormal bleeding. It was largely ignored for around 70 years until it became popular in dance clubs of the early 80s. It was only when the Rave party culture of the late 80s adopted Ecstasy as its drug of choice that MDMA became one of the top four illegal drugs in use killing an estimated 50 people a year in the UK alone. Its inventor died in World War I.
Frederick Roberts, 1st Earl Roberts set up “safe refugee camps” to provide refuge for civilian families who had been forced to abandon their homes for one reason or another related to the Boer War. However, when Lord Kitchener succeeded Roberts as commander-in-chief in South Africa in 1900, the British Army introduced new tactics in an attempt to break the guerrilla campaign and the influx of civilians grew dramatically as a result. Kitchener initiated plans to- “flush out guerrillas in a series of systematic drives, organized like a sporting shoot, with success defined in a weekly ‘bag’ of killed, captured and wounded, and to sweep the country bare of everything that could give sustenance to the guerrillas, including women and children.” Of the 28,000 Boer men captured as prisoners of war, 25,630 were sent overseas. The vast majority of Boers remaining in the local camps were women and children. Over 26,000 women and children were to perish in these concentration camps. Sir Marcus Laurence Elwin Oliphant was the first to discover that heavy hydrogen nuclei could be made to react with each other . This fusion reaction is the basis of a hydrogen bomb. Ten years later, American scientist Edward Teller would press to use Oliphant’s discovery in order to build the hydrogen bomb. However, Oliphant did not foresee this – “We had no idea whatever that this fusion reaction would one day be applied to make hydrogen bombs. Our curiosity was just curiosity about the structure of the nucleus of the atom”. Dr. Gerhard Schrader was a German chemist specializing in the discovery of new insecticides, hoping to make progress in the fight against world hunger. However, Dr. Schrader is best known for his accidental discovery of nerve agents such as sarin and tabun, and for this he is sometimes called the “father of the nerve agents”. Joseph Wilbrand was a German chemist who discovered trinitrotoluene in 1863 to be used as a yellow dye. It wasn’t until after 1902 that the devastating power of TNT as it is better known was fully realized and it was utilized as an explosive in time for extensive use by both sides in World War I, World War II. It is still in military & industrial use today. Richard Jordan Gatling invented the Gatling gun after he noticed the majority of dead from the American Civil War died from infection & illness, rather than gunshots. In 1877, he wrote: “It occurred to me that if I could invent a machine – a gun – which could by its rapidity of fire, enable one man to do as much battle duty as a hundred, that it would, to a large extent supersede the necessity of large armies, and consequently, exposure to battle and disease would be greatly diminished.” The Gatling gun was used most successfully to expand European colonial empires by ruthlessly mowing down native tribesmen armed with basic primitive weapons. Fritz Haber was a Nobel Prize winning Jewish scientist who created cheap nitrogen fertilizer and also made chemical weapons for the German side in World War I. It was his creation of an insecticide mainly used as a fumigant in grain stores that was responsible for the deaths of an estimated 1.2 million people. His Zyklon B became the nazis preferred method of execution in gas chambers during the Holocaust. This revelation comes as quite a shock to many, but a complete embarrassment to quite a few. Once thought to have been 3.5 billion year old fossils of bacteria in Australian rock, has now been discovered as nothing more than a few insensible minerals. Oh yes, quite a few researchers had to hide their faces in shame on this one, but pretty much no one will be able to live this one down. This discovery came from a team of people at the University of Kansas. By taking a closer look at the Australian rock, it was discovered that there was no presence of the oxygen-producing cyanobacteria, but that it was only iron ferrous minerals. 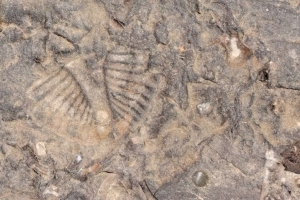 Researcher Allison Marshall stated that she went into the study thinking that these were actually microfossils and that many people in the scientific community believed it as well. It was very hard for many to believe that this discover would have gone unnoticed, but it did. Many asked the question; why did it take so long to figure this truth out? But many did not have the answer. This was basically a life lesson on believing what you find in the data, not going by what someone has told you to be the truth. While many went along with the belief that this was actually the oldest form of evidential life, there were a few who just didn’t settle for what everyone else thought was true.